This Christmas, I would like to introduce you to this ultimate gift for car enthusiasts and budding petrol heads! You get to build cool working engines featuring real engine roars with the authentic Haynes Build Your Own Engine sets. The models are the ultimate gifts for dads and petrol heads – ideal for the man who has it all. 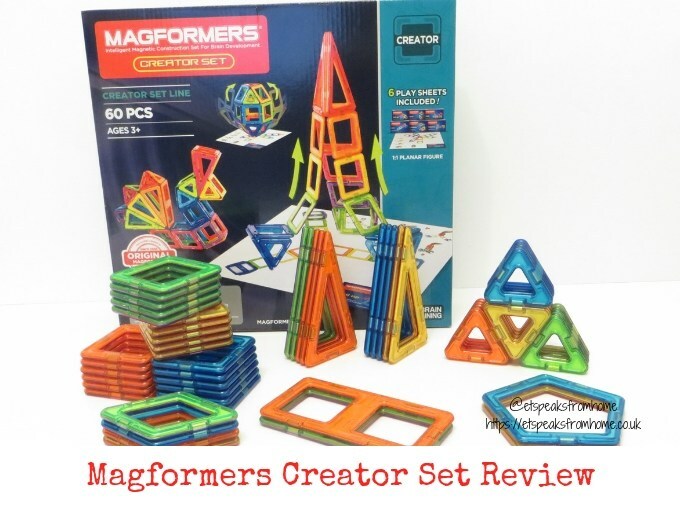 Magformers have been around since 2001 and they are recognised globally as a leader in STEM toys and educational products, with learning and 3D brain development through play at its core. This year, this multiple award-winning brand was officially approved by STEM.org. 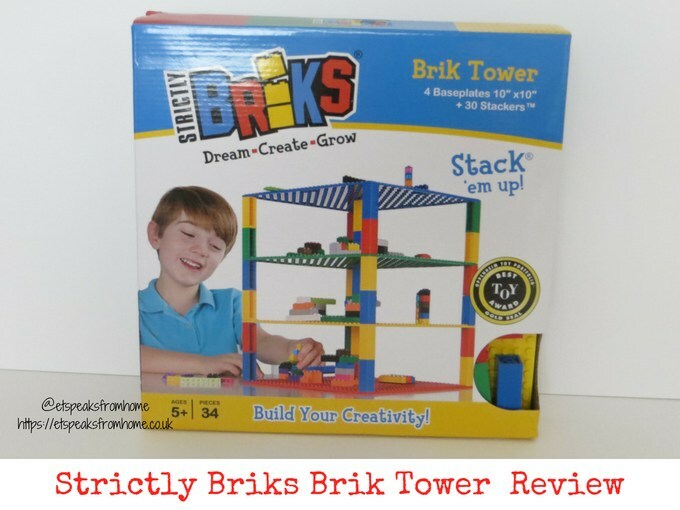 Strictly Briks Brik Tower is what your children need to provide them with endless hours of fun! Use the 10 x 10 baseplates and Stackers to create your very own tower by stacking them up! This is suitable for aged five and above. Brik Tower contains 30 pieces of Stackers and 4 pieces of 10 by 10 inch baseplates. They are very bright and colourful pieces. What’s so great about Strictly Briks is that their large building briks are compatible with all leading brands. This is a promised guaranteed tight fit with any large size building briks. 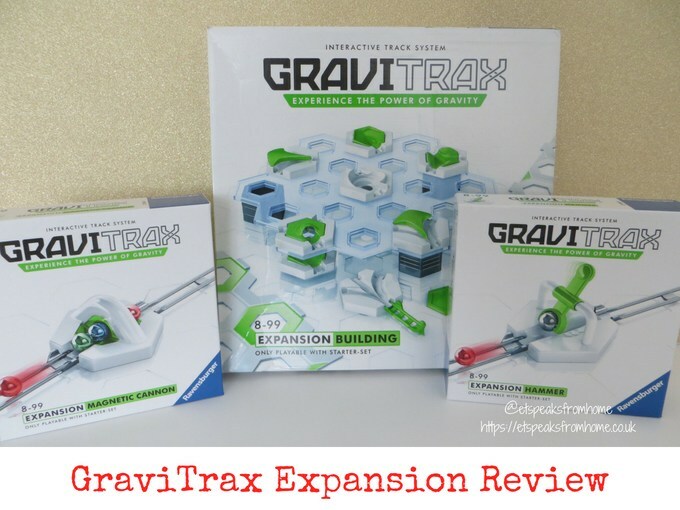 Last month, we were so excited to introduce you to the GraviTrax Starter set from Ravensburger. This is a STEM-inspired track system that combines the classic marble run and erector set with modern twists! It allows fans to build their own superb tracks, release the gravity spheres and watch the forces of nature work to create an action-filled adventure! Today, we are here to introduce you three of their expansion add-on packs to be used with their Starter set: Building Extension, Action Hammer and Action Magnetic Cannon. GraviTrax is suitable for ages eight years and above. 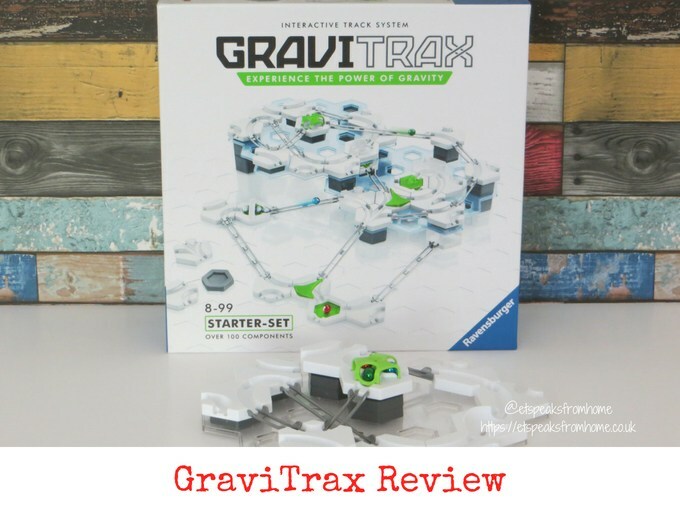 Introducing you to this outstanding interactive STEM track system from Ravensburger’s GraviTrax that is gravity defying! Now fans can use their imagination to build their own superb tracks, release the gravity spheres and watch the forces of nature work to create an action-filled adventure! This STEM system (Science, Technology, Engineering and Maths) is an ideal set to teach children about gravity, magnetism, kinetic energy and fun. It is suitable for ages eight years and above. Kitchen improvements are always extremely fun. 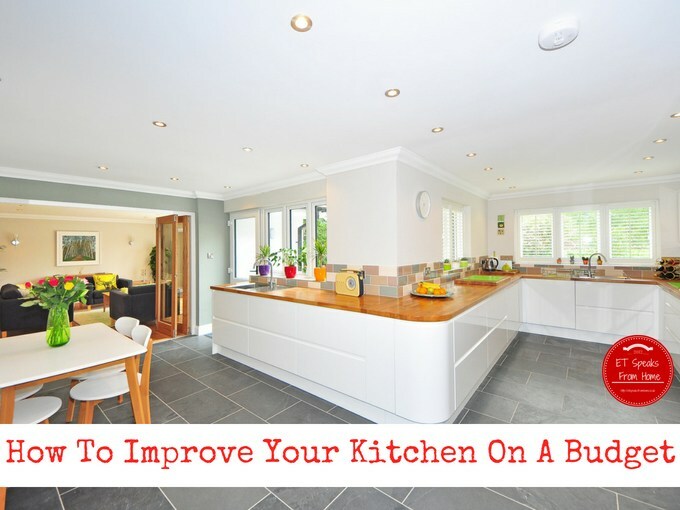 I think part of the reason for this is that you actually feel the benefits of the home improvements when you renovate your kitchen. You’re in there every day, usually cooking and doing stuff. So, if you can make your experience better, it’ll only make you happier. 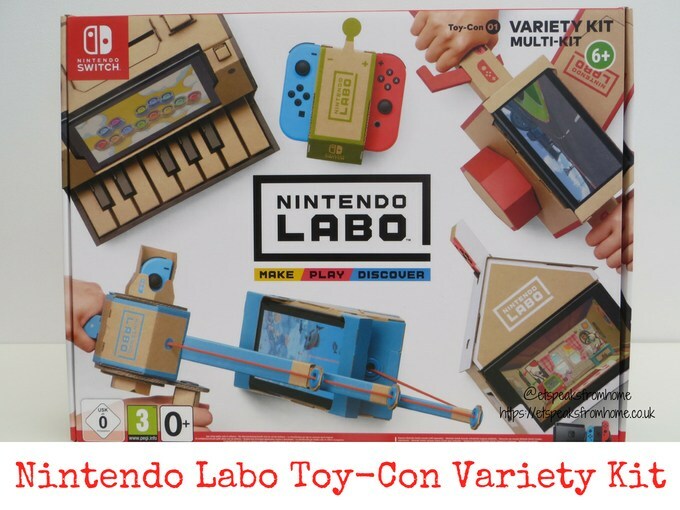 Nintendo Labo is a brand new groundbreaking set of physical toys (in the form of DIY cardboard pieces), partnered with software/games. This new line of interactive make, play and discover experiences are designed to educate while entertaining the children with fun activities/games. They also improve children’s knowledge and understanding of a wide range of topics like STEM. By assembling sheets of cardboard into a variety of shapes called Toy-Con, and combining them with the Nintendo Switch console you can bring them to life! 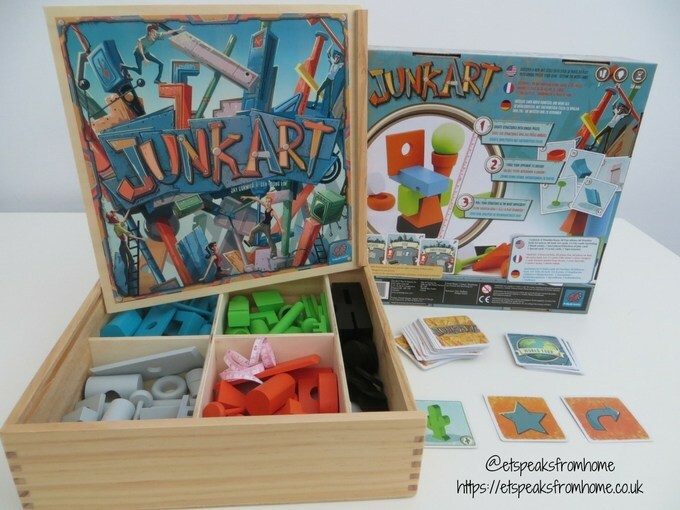 Junk Art is a challenging and creative game where players play as travelling artists and try to turn everyday pieces of junk into magnificent art creations in various cities. This game is suitable for aged eight and above. The game is for two to six players and it makes a great party game as it’s fun to play together! 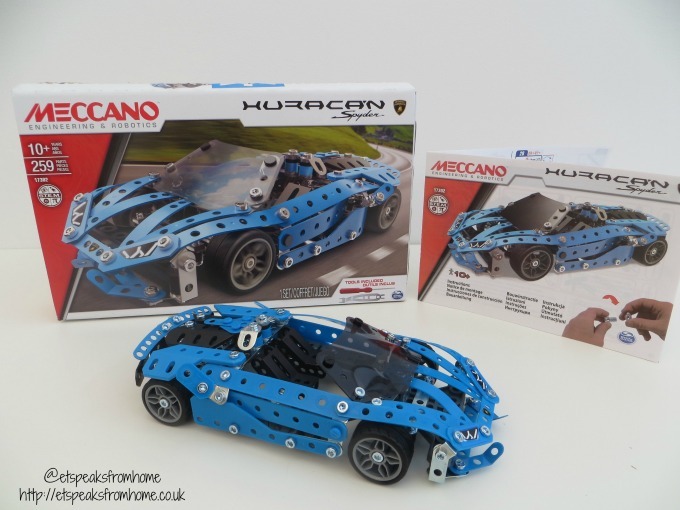 This Meccano Lamborghini Huracan Spyder set comes with 259 durable metal parts, including rubber tires, stickers, pose-able steering, 2 ergonomic tools and easy-to-follow instructions. It is suitable for aged 10 and above. Mr C was so happy when he saw this set. This is one of his many dream cars he would like to own. I think he might just realise his dream if he sticks with models rather than a real one! 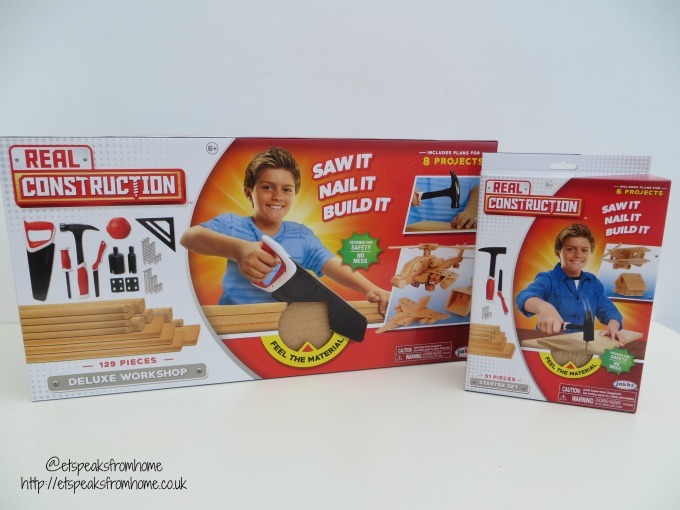 Real Construction sets from Jakks Pacific are the perfect set for the beginner craftsman which comes with wood-like material allowing kids to saw, nail, screw and build new designs. Would your child like to build their very own miniature treasure chest box or a boat? If so, then this Real Construction set will make a great gift for them to start with! 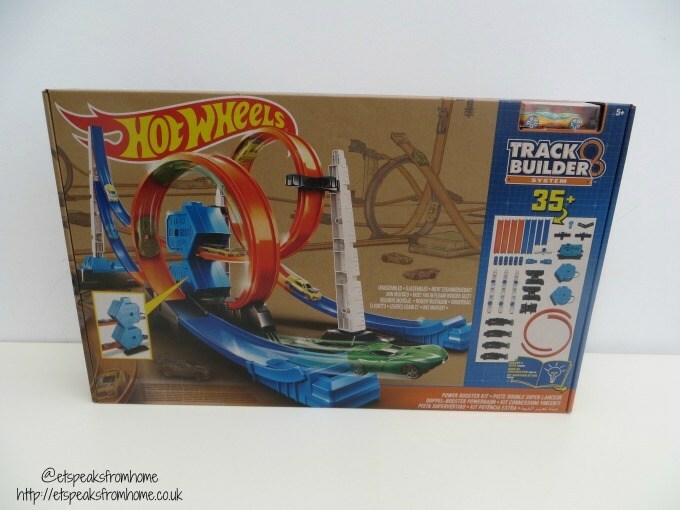 Hot Wheels Track Builder System Power Booster Kit is another great set to build many possibilities of open system play! The Power Booster Kit includes 35+ pieces including 2 speed loops and 2 boosters so you can boost your crash, your loops and head-to-head races! Not only that, you can convert the packaging and other household items into another epic track! How cool is that! This is suitable for aged 5 and above. It requires 4 size D batteries to run the boosters which are not included. 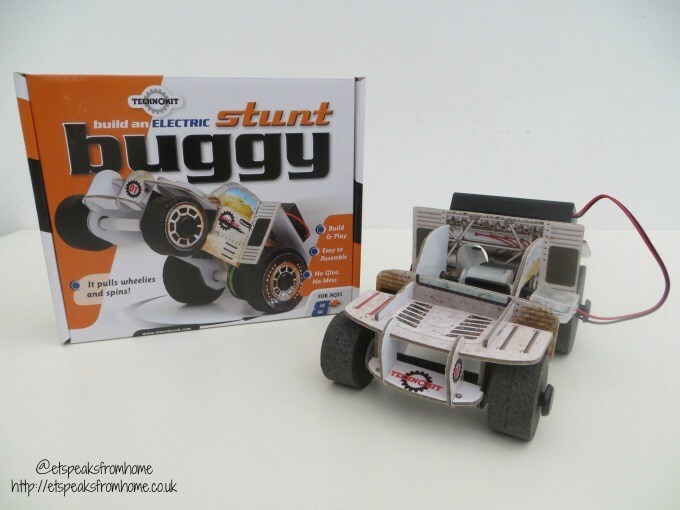 The Electric Stunt Buggy from Interplay is an easy to build model car for children aged eight and above. This buggy is from the Technokit range which helps your child to practise and learn about electrical and mechanical principles. 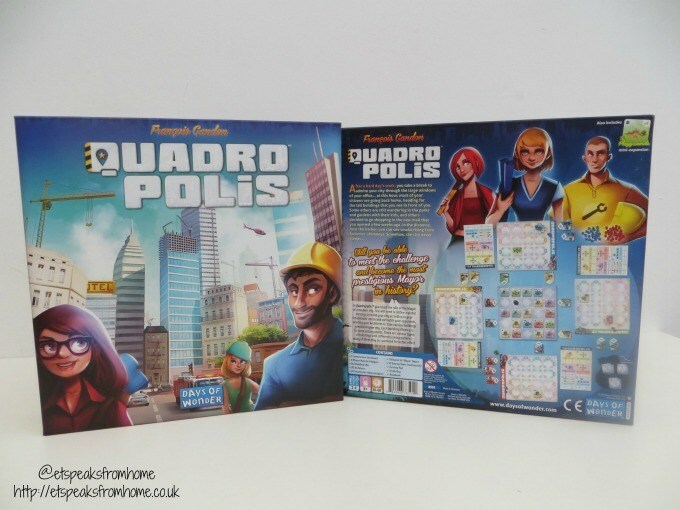 Quadropolis is a strategy board game that sees players compete with one another for the shops, parks, public services and other structures to be placed in them. It is made by Days of Wonder. This game is suitable for ages eight and above and can be played by 2 to 4 players. It is available to buy from Esdevium store finder or on Amazon. 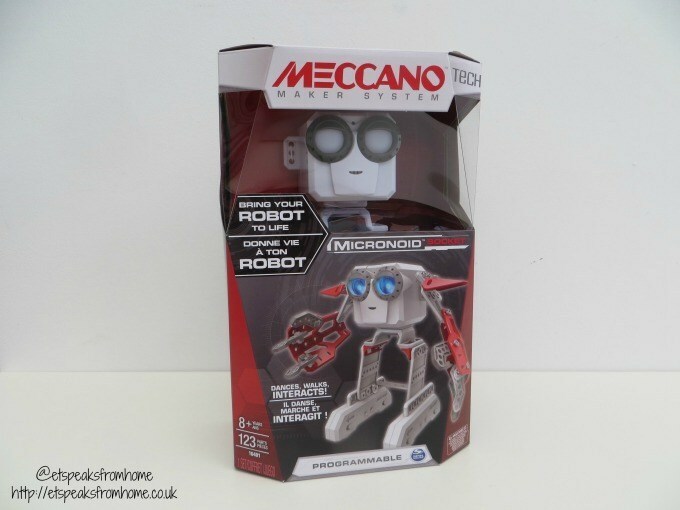 Build your own personalised robot with the help from this Meccano MicroNoid set. Socket is a small and adorable robot that fits in your hand for you to bring out and about. He is able to dance, walk and interact! This is a great set to keep the children busy this summer holiday. There are three Meccano Maker Systems to collect: Socket, Switch and Basher. 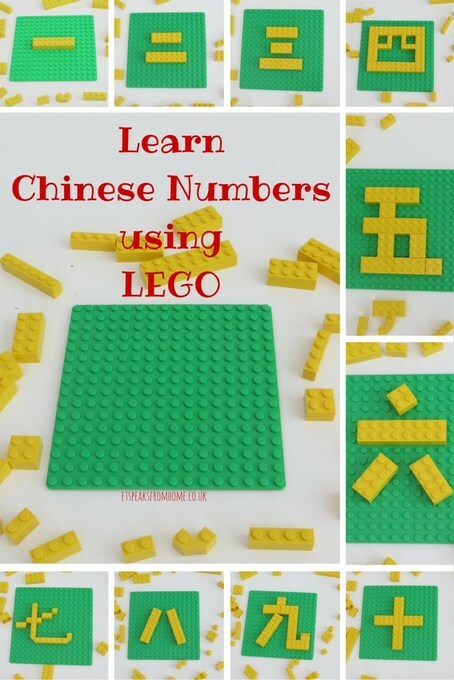 Want to learn simple Chinese numbers using LEGO? Then read on and see how we incorporate LEGO into our daily life! Many of my readers will know that I love to use crafts to teach my children or our Lichfield Mandarin Club’s children in Chinese language. For example, we used ang pow (red packets) to make a Chinese character sheep, used old ang pow to write Chinese character Monkey, practised writing Chinese New Year words on balloons, 3D paper cutting Spring character and many more.